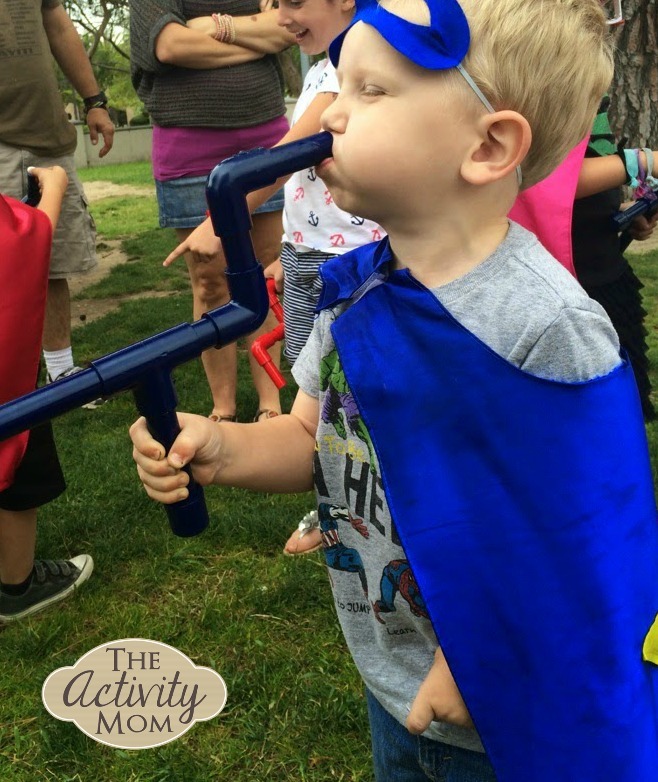 We recently celebrated our middle guy’s 3rd birthday and I wanted something super fun that would serve as party favor’s at his party. After some Pinterest perusing and collaborating with the handy hubby, we decided to make DIY marshmallow shooters! These would be SO fun for the summer! 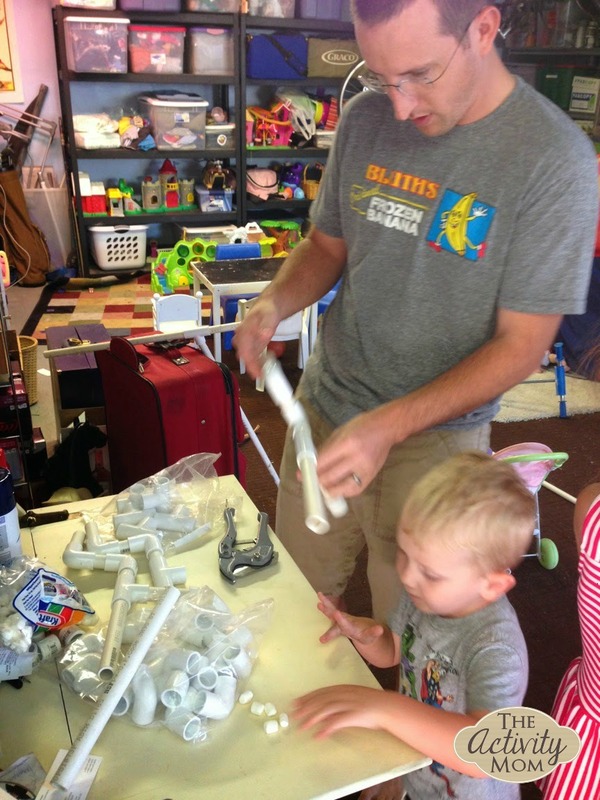 My husband and G went to the hardware store and picked up a TON of PVC joints, caps, and a long piece of regular, CHEAP PVC. My husband already owned PVC cutters, but they’re about $7 and awesome to have. The boys worked together to snip the PVC, with G helping to add the caps and joints. Once they were all done, we spray painted them. I bought TONS of bags of tiny marshmallows and the boys at the birthday party went NUTS for them! It was so much fun, totally painless to get nailed by one, and turned out to be super affordable. For 10 party favor guns, we spent $8. Can’t beat that! 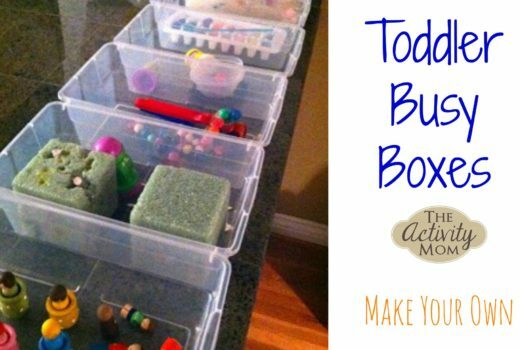 We are going to make some more to keep at our house for playdates because they are just THAT fun! 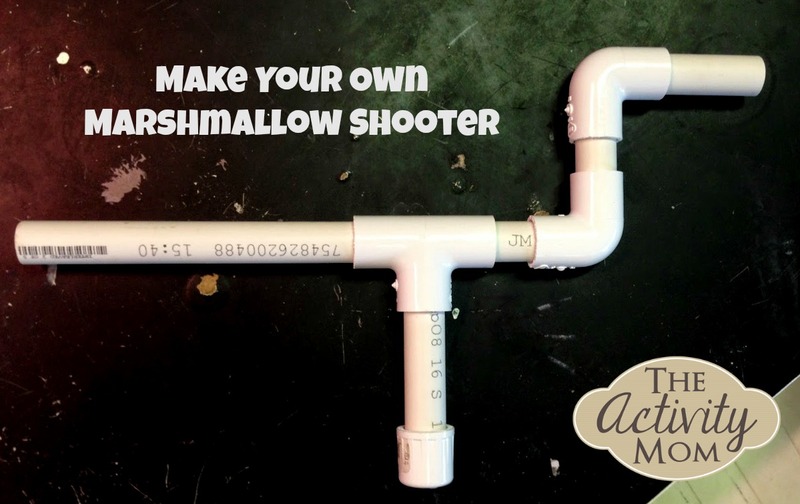 Add DIY Marshmallow Shooter Targets for more fun! My kids and husband would love the marshmellow shooter!! This is such a fun idea!! Great idea. I never thought about making my own party favors.